Got my SExI08BK repaired at SELA. Really good job. The 08 was just a preventative measure for crotch blowout. Had a few people message me about my jean shorts or "jorts". This is usually a heated subject and honestly, the negativity most of the time outweighs the positives of posting. I was going to post when they were a lot further along but hey, with some interest checks via email, decided to show them. I turned a pair of SExI08BKs into shorts (as I did with a pair of SG2109s) and I have divided my time between them 50/50 (when I do wear shorts, which is pretty minimal). So check the The Strike Gold thread too. SExI08BK. 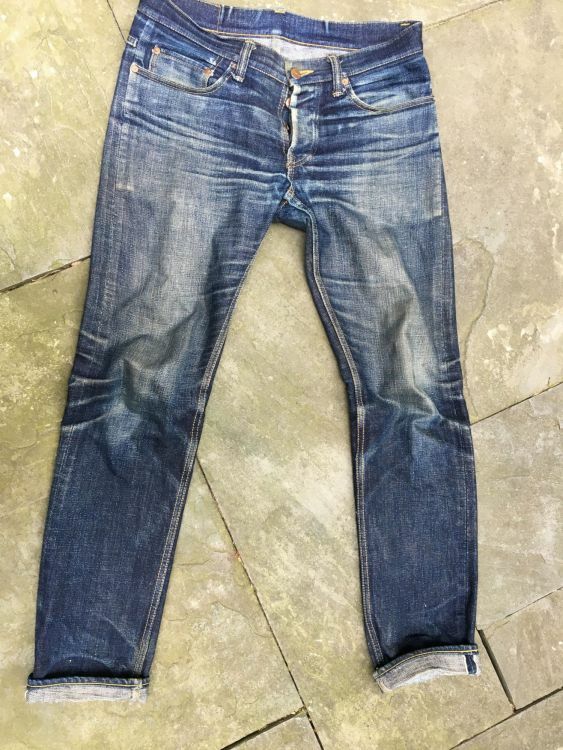 One initial soak, about 10 washes and I would estimate about four months of actual wear. 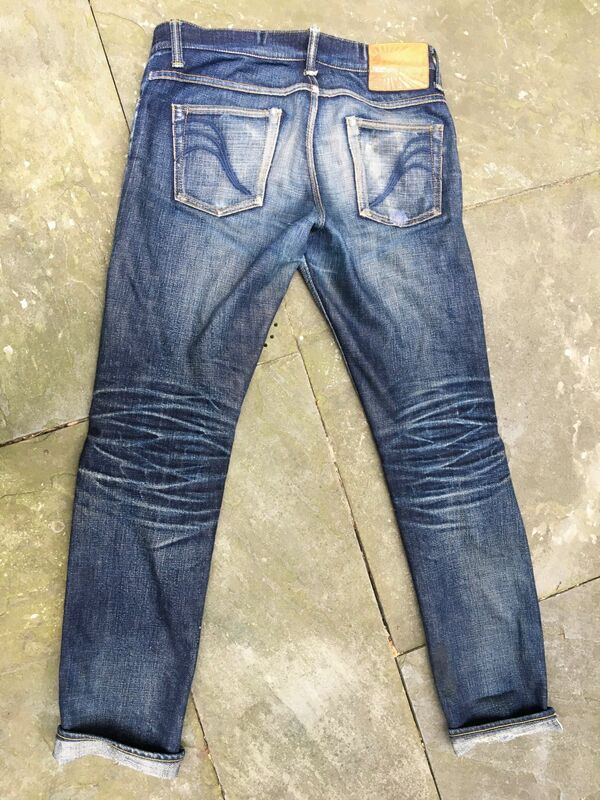 Denim aside, what are the differences between the SEXI14 and 23? Are the 23's any bigger on the cut? It's a slightly larger cut. Most notably, the thighs on the 23's are about .5" larger than the 14's. Any chance of a stray pair in a size 33 in any of the SE stores? 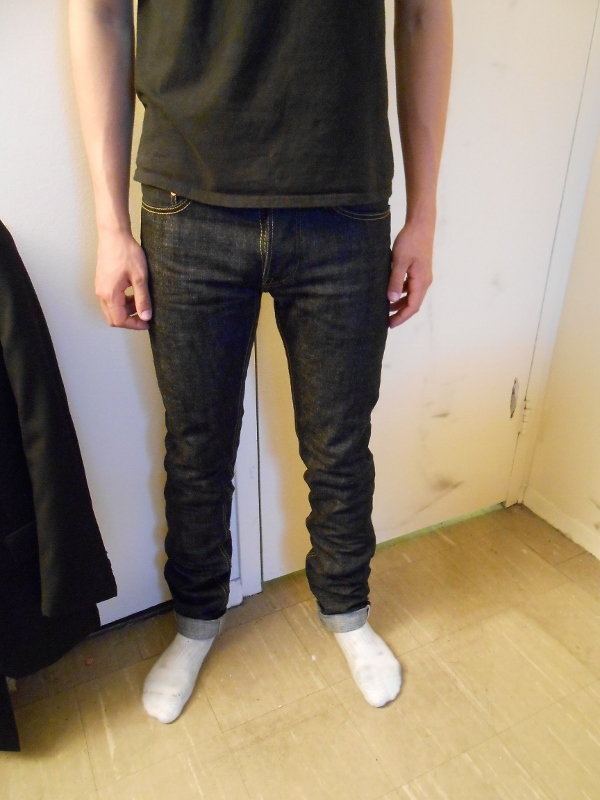 I didn't think I'd be in the market for new jeans for a while, but I recently lost some weight and the rise on my N&F Spirits was crushing me anyway, so I decided to stop into SENY and check out the SEXI(edit, good catch peacedoff)23, since I remember being bummed out when out I missed out on the SEXI14. I talked with Thomas and another guy whose name I didn't catch, but they were both really cool dudes, and helped with sizing and all that jazz. 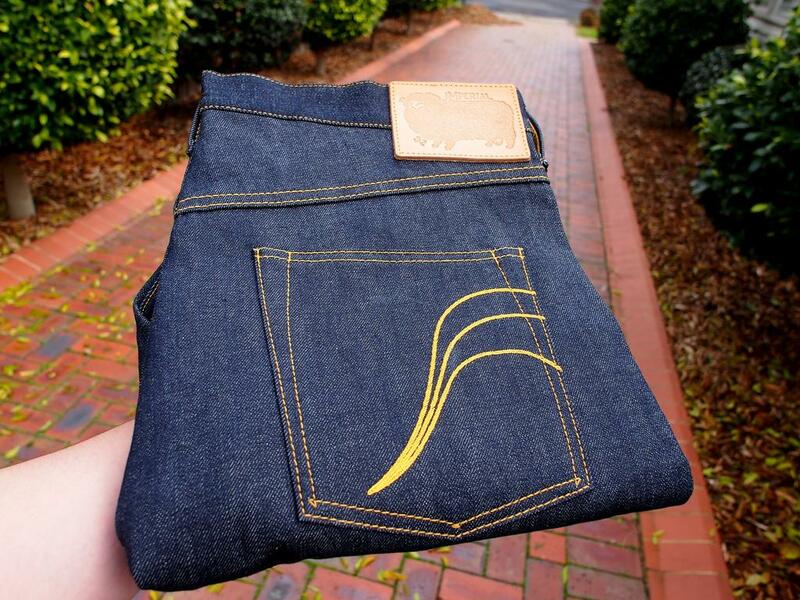 Yeah, it's been said a million times but SE rocks and trying on jeans is so much easier than online ordering. 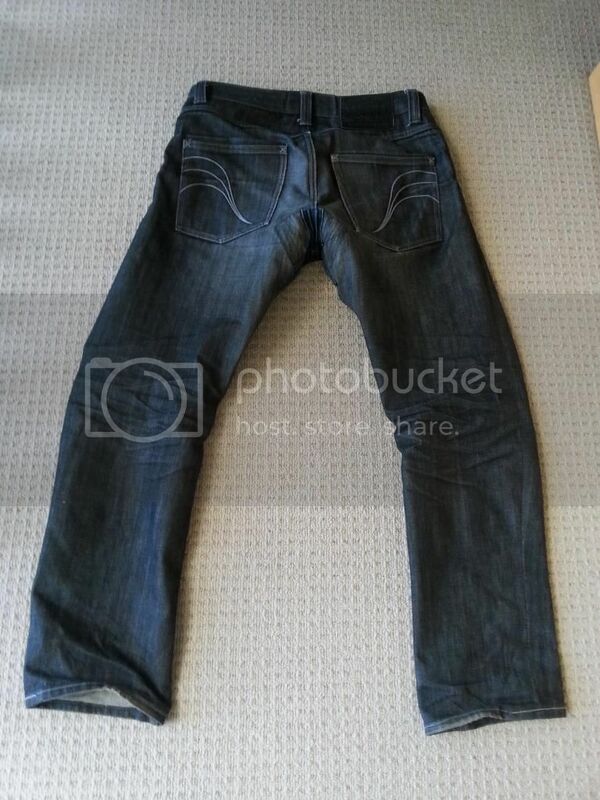 Anyway, here are the jawns, I got them in size 32. For reference, I'm 5'-11" and about 170 pounds. 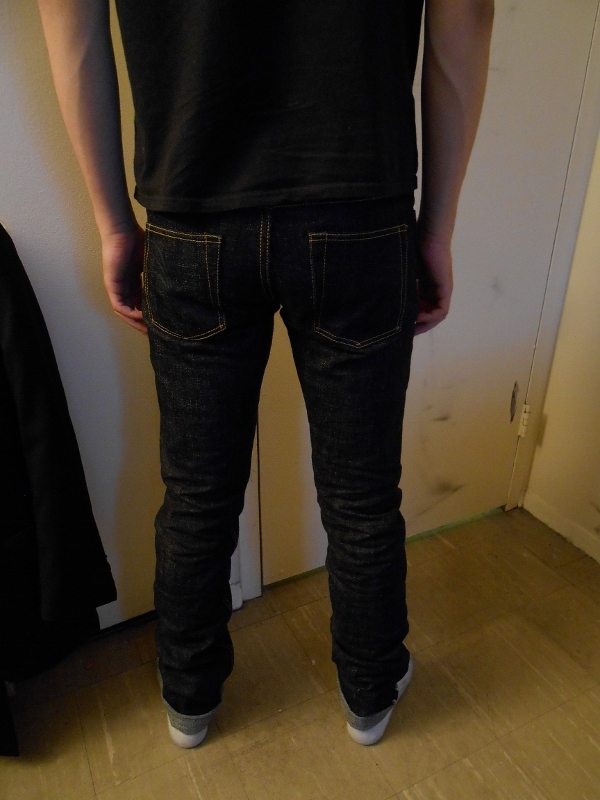 They certainly are slim, and I could've gone with a 33 which would've been TTS, but I don't mind the slim fit since they aren't uncomfortable; it's nice to be able to wear my pants at my waist if you get my not so subtle drift. The fabric is great and the details are too, plus it's great motivation to keep the weight off. In terms of sizing I'd go TTS or down 1 if you want a very slim fit. Bummed l didn't get a pair of these !!!!!! Last time I checked out Imperial was around 2012 - saw the Duke & King models at a local shop here in Aus - I wasn't very impressed by the quality of construct at the time. Anyway, I saw that a shop in Sydney is now carrying the full range, so I took another look. I have to say (with some regret as an Australian) now that the manufacturing has moved to Okayama, IMO the quality has improved. 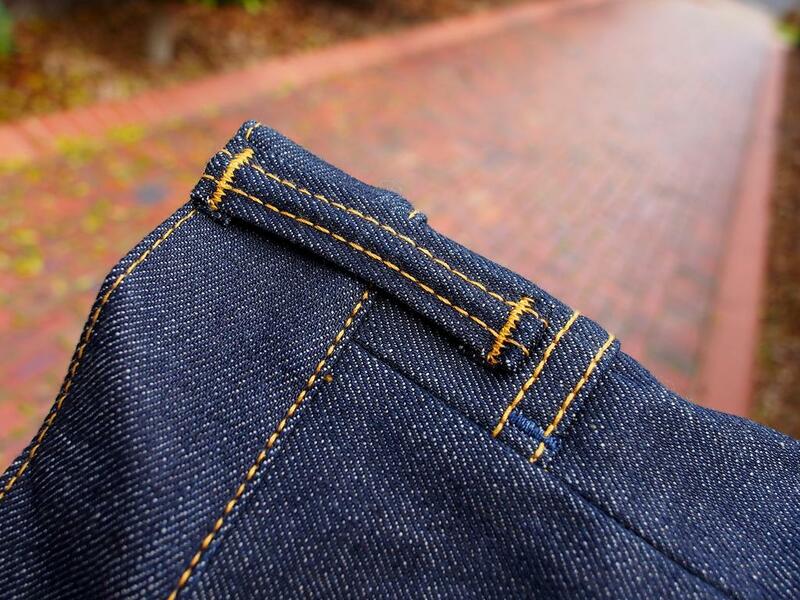 ^Raised belt loops, bar-tacking, neat-stitches, and the works! Would definitely recommend checking out Imperials again. "I have to say (with some regret as an Australian) now that the manufacturing has moved to Okayama, IMO the quality has improved"
EDIT: What shop in sydney? May go check them out! I'm assuming the Flat Head event is in Sydney? I can't make it to Sydney at the time unfortunately. The shop was Half Sleeve btw. 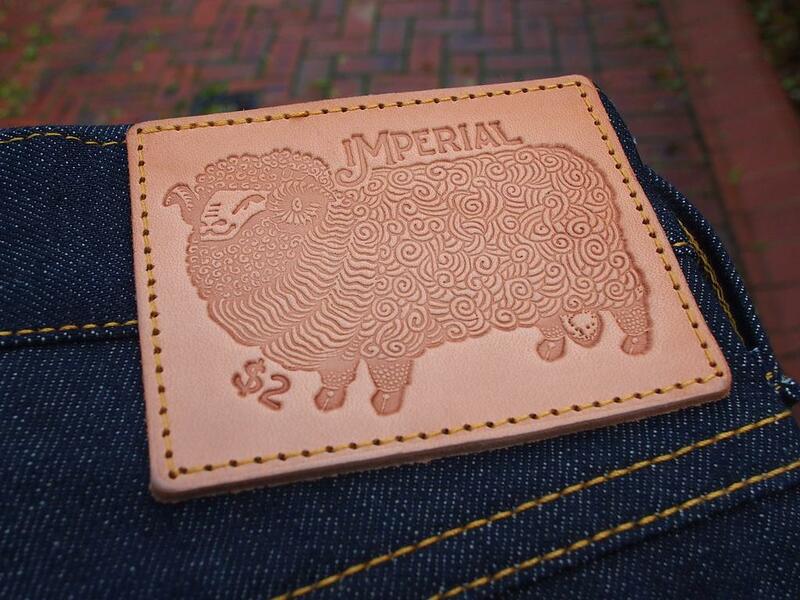 No other denim stuff other than Imperial though. Welcome back Mike...miss reading your blog updates...will you be active on that again? Cheers mate! 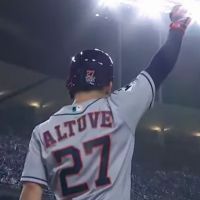 There were a few blog posts that proved consistently popular, so I hope to edit and re-write them again...a lot of the old photo links are dead, and I've some further thoughts in the few years since. From there on, not sure...depends if the blog gets traffic like it once did I suppose. On a topical note, the shearer's are taking forever to dry in this damp and cold weather. I'm seriously tempted to use the dryer, just a little bit. sounds really tempting for a couple days trip..
Wow, two years without any action here? 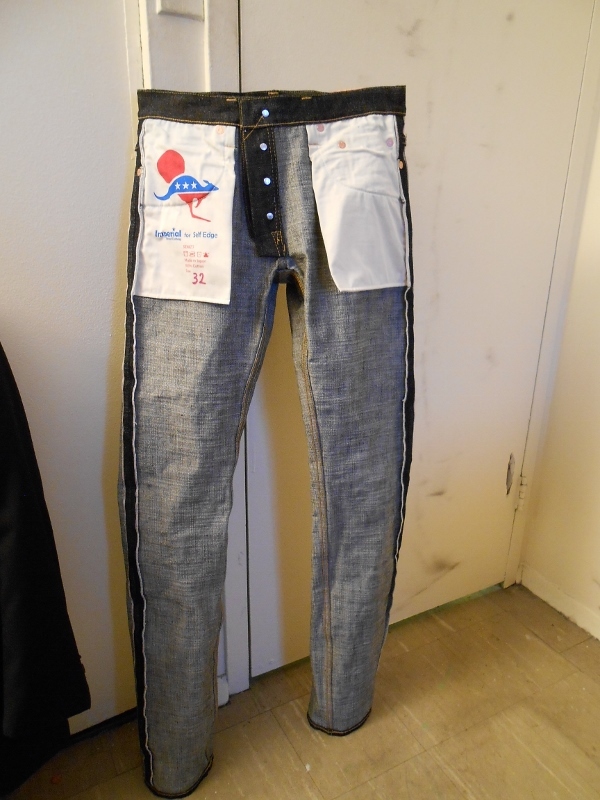 Is Imperial still making jeans? 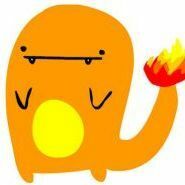 SEXI23s. I bought these at least 5 years go. During that time, my thighs got a bit bigger. (Beer? Squats? Middle age? I'll never tell.) I'm not sure the slim tapered look is for me anymore, but I can still just barely squeeze into these. But I don't think I can mount a bike in these without ripping them in half, and since I ride a bike just about everywhere, these are definitely on the back burner. Probably at least a year of wear. At least 10 washes in the bathtub. One repair. I am pretty proud of these. They look great owl, you’ve really been spoiling us with some fantastic pairs across various threads. Congrats to this awesome denim evo!!! Be nice to be able to try a pair on . iv made some bad/costly online purchases in the last two years , I'm done ordering online .